Kyle Busch made the winning pass for the lead on lap 364 of 400 at the .75-mile track. Keselowski grabbed the top spot on lap 343, but Kyle Busch took it back 20 laps later before Keselowski faded, eventually finishing ninth, and Harvick making a strong push their near the tail end. 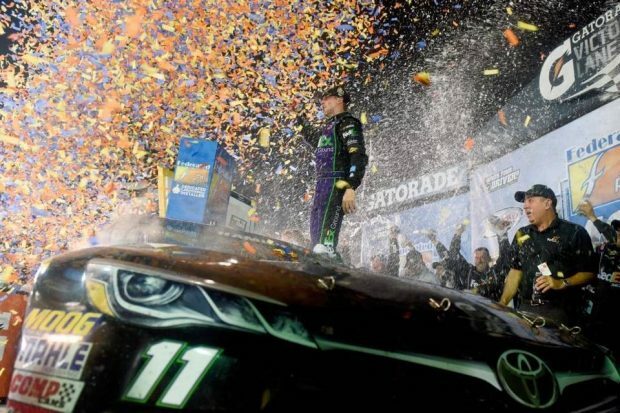 The win was Busch’s seventh of the season, tying him with Harvick for the series lead.Busch started the race already in the hole,when he was sent to the rear of the field at the start because of unauthorized adjustments to his car. Harvick closed a gap of more than 1.5 seconds over the last handful of laps, but was not able to stop Busch from tying him with a season-best seven wins.Currently third in the standings with one race to go and 57 above the cutoff line, Harvick is in good shape,all he needs to do is have a relatively solid race and not have any real serious mishaps. Martin Truex Jr., who swept the first two stages had to deal with a pit road penalty that forced him to make up some ground,he managed to salvage third, followed by Chase Elliott and Aric Almirola rounding out the top 5. 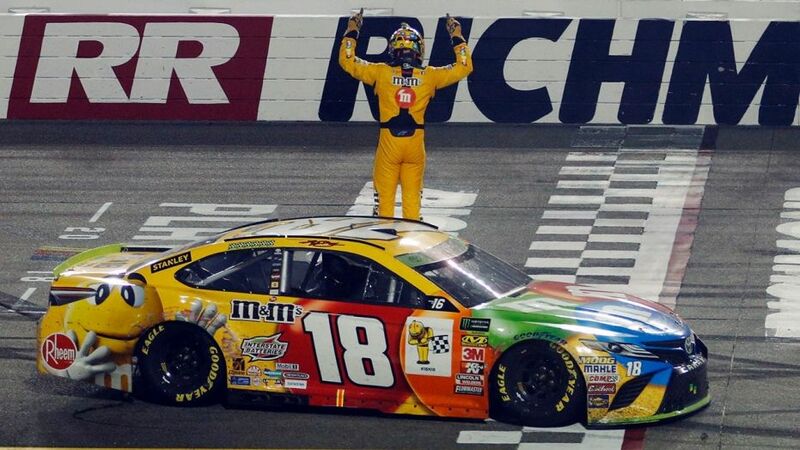 Busch and Brad Keselowski have both clinched spots in the next round with playoff victories, and points leader Martin Truex Jr. also qualified by winning the first two stages at Richmond. Clint Bowyer, Jimmie Johnson,Erik Jones and Hamlin will start next Sunday’s race at Charlotte as the bottom four in the playoffs.